Vidamar Resort Hotel Algarve is a luxurious 5-star hotel based on an ideal beachfront location in the beautiful region of Algarve, in the city of Albufeira in southern Portugal. The resort is surrounded by the Salgados Lagoon and a beautiful nature reserve in which brightly plumped flamingos can be spotted. The Salgados beach is at a walk of 5 minutes from the resort, and the city of Albufeira can be reached by a 15-minute drive from the resort. The resort offers a huge sea-facing swimming pool, indoor heated pool, Jacuzzi, fitness centre, spa and wellness facility, gym and the Salgados Golf course for golf lovers. Guests are given the luxury of fully air-conditioned, spacious and elegantly designed rooms with balconies offering beautiful view of the sea. 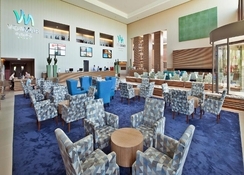 Free Wi-Fi is provided throughout the resort. Best variety of cuisine is served in buffet style at the hotel’s restaurants. The resort is located along the Salgados beach in Praia Dos Salgados in Albufeira, Portugal. The resort can be reached in 50 minutes from the Faro International Airport (Algarve). The hotel management provides a paid shuttle service to the Faro International Airport. The A2 and A22 motorways which connect Algarve and Lisbon can be reached by a 15-minute drive. Albufeira is located at a 15 minute drive and famous places such as Praia Salgados and Parque Natural da Ria Formosa are just 400 metres away from the Vidamar Resort. The rooms are air-conditioned, spacious with minimalist décor and are designed to provide pure relaxation, rest and leisure. Balcony is present in every room offering sea view. Suites feature a twin bedroom and a sofa bed in the lounge. Also, there are twin rooms with garden view, twin rooms with sea view, twin rooms with pool view and twin rooms with inland view. All rooms are air-conditioned and loaded with all essential amenities. Bathrooms have walk-in rain showers, WC and are equipped with all amenities. All rooms have full size floor-to-ceiling windows and are designed elegantly. 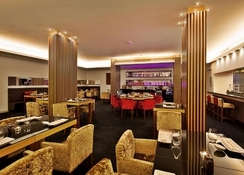 The hotel’s main restaurant serves a wonderful variety of cuisines in buffet style breakfast, dinner and lunch. Fresh English breakfast and dinner buffets are served. Guests can also sample the delicious seafood and shellfish, oriental, Italian as well as international cuisines are served in the four restaurants throughout the resort, namely Aji Oriental Flavours Restaurant, Mamma Mia Italian Restaurant, Ocean Buffet Restaurant and Sunset Restaurant & Bar. 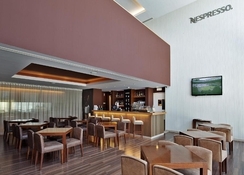 Several bars present throughout the hotel serve refreshing drinks. Special diet menus are available on request. 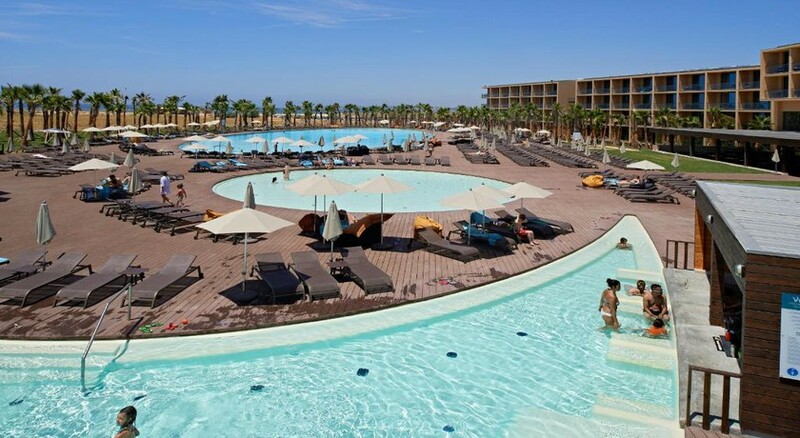 Vidamar Resort Hotel Algarve has a huge sea-facing swimming pool where the whole family can enjoy. There is also an indoor heated pool and Jacuzzi. Spa and wellness facilities providing Turkish bath and massage therapies are also available at the resort. A free fitness centre is provided for guests who love to maintain their fitness level. Sports and leisure include bicycling, hiking and golf(additional charge). A fun centre is provided exclusively for children from 4 to 12 years. 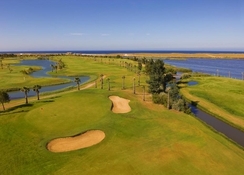 Golf lovers can play around in the Salgados Golf Course located within 3 kilometres from the resort. Entertainment shows are also held at the hotel. We are pleased to inform that our new HEALTH CLUB is now open and operating in a “soft opening” format. The SPA circuit will cost 20,00 € per person, per day. The price includes towel and swimming cap. · ANIMATED INDOOR POOL heated and with salted water – access is free to all our guests. Children below 16 years old need to be monitored by an adult. The Health Club will be open from 10h00 to 19h00, except the gym which is open 24 hours a day. OUTDOOR POOLS: we would like to inform that from now one 2 of our 3 outdoor swimming pools will have seasonal heating and according to weather conditions. The outdoor parking will remain free of charge. The Vidamar Resort Villas Algarve, reserves the right to ask at check-in for security deposit to guarantee the payment of any damage or loss of any kitchen utensils or other equipment as part of the Villa inventory. The Payment should be a the reception. From the 21st of May our Restaurant Aji and Lisboa Bar will be exclusive for guests with 12 years old or more. So parents may enjoy these spaces “kids free”, our entertainment team will provide a night supervision service for children (4 – 11 years old), as bellow described. Service without additional costs for guests in Half-Board (dinner supplement applies to guests staying in Bed & Breakfast or Self-Catering basis). We hereby inform that, with immediate effect, only the 2 indoor pools - SPA animated pool and leisure pool – will be heated. The 2 outdoor pools - kids pool and chill out pool at the Wet Bar – are not heated any longer.